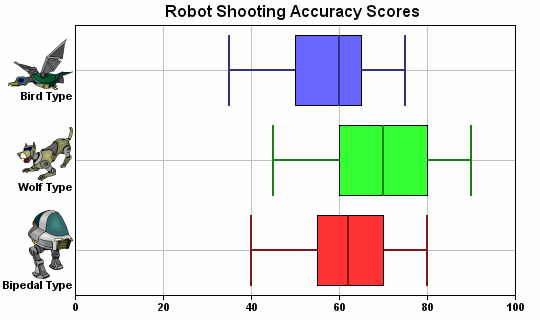 A general box-whisker chart, which represents data ranges as boxes and/or marks. A common application is to represent the maximum, 3rd quartile, median, 1st quartile and minimum values of some statistics. The axis labels are created using CDML, so they can contain icons. 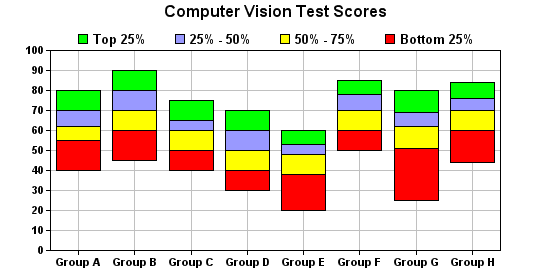 A multi-color box chart created by using 4 box layers, each handling one data series. 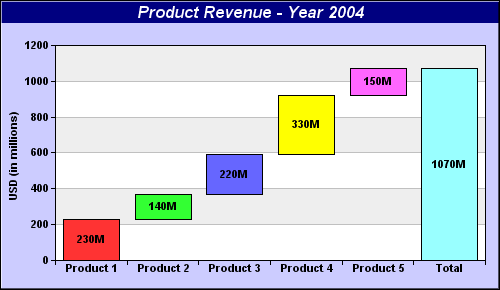 This chart is an application of box chart often known as "Waterfall" chart. Each box represents a contribution to the total, and the last box shows the total. 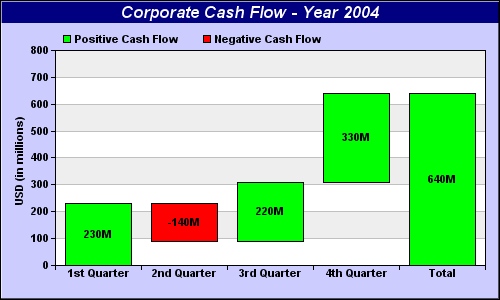 This "Waterfall" chart uses two colors to clearly represent positive and negative contributions.